Our Seneca Creek 2-Drawer Amish Nightstand, with durable dovetailed drawers, fluted columns, and bracket feet, combines function and elegance. At only 22" wide, the Seneca Creek 2-Drawer Nightstand is ideal for a small master or guest suite. The soft close slides allow the drawers of your nightstand to extend fully while providing a quiet, slow, and controlled closure. 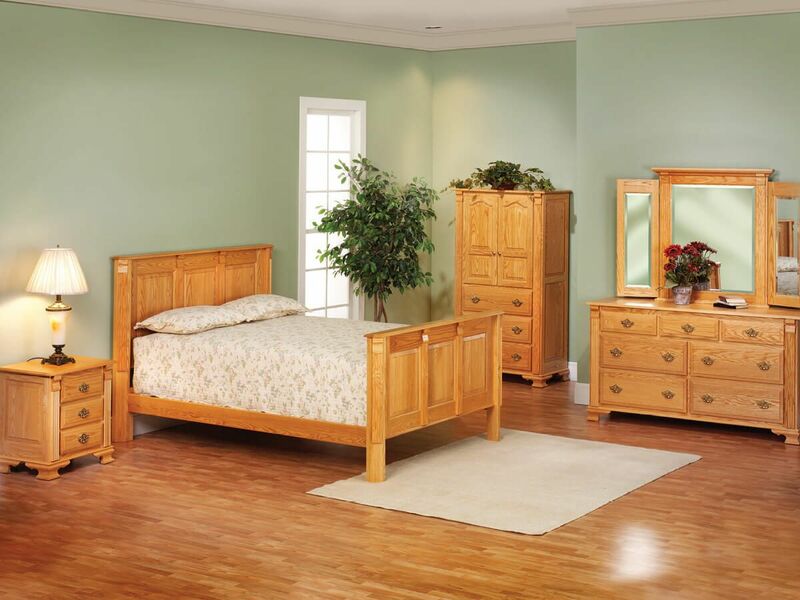 Handmade to order, our Seneca Creek 2-Drawer Nightstand and matching bedroom pieces are crafted to your specifications. Customize your Seneca Creek Nightstand by selecting a wood, finish, and hardware from the options menu. 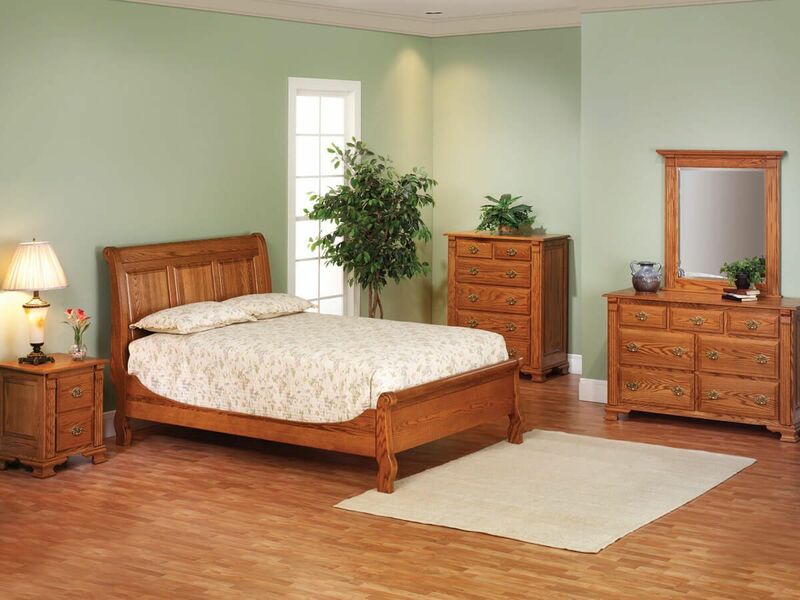 To obtain the pictured look on your Amish nightstand, choose Oak with our Spiced Apple stain.